McDonald’s began removing unhealthy menu items in September 2013. They also promised to offer more fruits and vegetables throughout the menu. President Clinton partnered with McDonald’s on this initiative, but only one specific health initiative was promised: providing a choice of a side salad, fruit, or vegetable instead of fries in a meal. Years later, Americans aren’t seeing much of an impact. A recent study from the USDA Human Nutrition Research Center on Aging (USDA HNRCA) at Tufts University reported fast food portion sizes and product formulation has not changed significantly from 1996-2013. Researchers looked at calorie, sodium, saturated fat, and trans fat of fast food menu items in three national fast-food chains. They found the average numbers for these categories stayed constant for decades. The only thing that changed was the trans fat of fries. 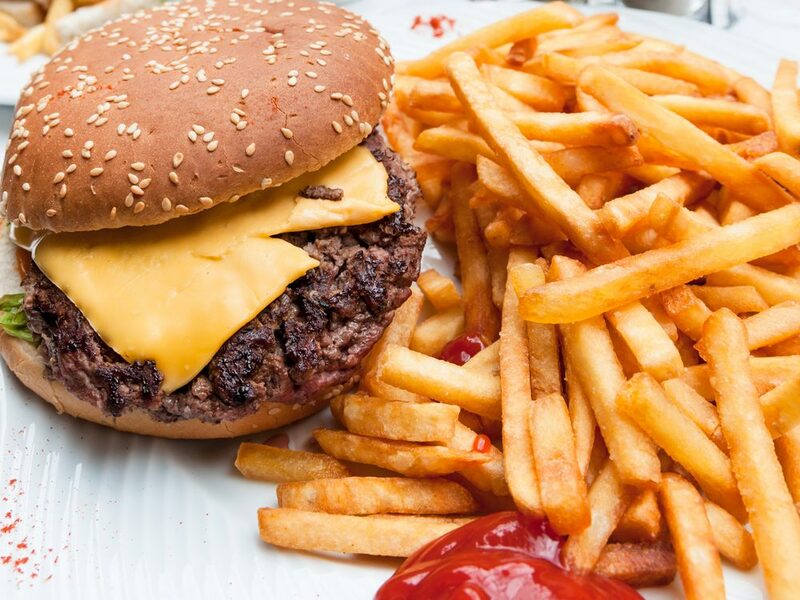 A cheeseburger meal, with fries and a regular drink, fluctuated from 1,144 to 1,757 over the years. If someone follows a 2,000-calorie diet, this represents 57 to 88 percent of the daily caloric intake. Researchers found only small calorie changes in the 27 items they analyzed. They used company nutrition listings and public databases to find their data. McDonald’s has been accused of continually finding ways to add sugar, fat, and sodium to its menu items. Even McDonald’s apples came with a caramel sauce, which was later removed. Wendy’s has menu items under 400 calories, but they still hit high numbers with their go-to foods—a large Frosty has 1,000 calories. Sonic may be the biggest calorie offender, with drinks, malts, and shakes easily reaching 1,500 calories. Many fast-food chains try to highlight their healthy options while they sneak sugar in through the back door. Even the salads offered by the fast-food restaurants need to be looked at twice.